What Happens When I Violate Probation? A probation sentence can be a blessing in some cases and a curse in others. In many situations accepting a plea to probation will get a defendant out of jail or prevent him or her from ever setting foot in jail, but sometimes it is not all it’s cracked up to be. Whether you receive 6 months or 3 years of supervision, your chances of successfully completing your time can often be largely influence by the agent that is assigned to your case. Forming a good relationship with your agent is key, and doing exactly what they say, while annoying at times, can be your easiest path to successful completion. Sometimes though a defendant will be assigned to an agent that is completely unreasonable and this is typically how violations begin. Remember that if your probation is or is about to be violated it does not mean you will automatically go to jail. If you fail a drug test, miss an appointment or catch a new charge your probation officer can let it slide or choose to inform the judge by writing a violation report. The violation report usually states the things that you did wrong, and is similar to a statement of probable cause in that it establishes a basis to charge you. Upon receiving the violation report the court will typically do one of three things. The judge could choose to take no action and in this instance you will continue on probation as if nothing happened. The judge could also issue a summons for you to appear in court and answer for the violation. This is usually called a show cause hearing where you will be summoned to court to state whether you admit or deny the allegations in the report. In some instances when a show cause summons is issued the judge may urge the state’s attorney to dismiss the violation after discussing the case with the agent, the defendant and his or her attorney, but this is somewhat rare. If you go to court to try to explain yourself to the judge it is best to do so with an attorney or at least after contacting one for some advice. If the judge is not kind enough to issue a summons for you to appear then a VOP warrant will be issued for your arrest. The judge can preset a bail depending on the severity of the violation, and in this case you could be released shortly after seeing the commissioner or in some courts, such as Baltimore City, the bail can be paid directly to the bail department. If there is no preset bail you will likely be held until you see the judge at a bail review hearing. At a bail review the judge could release you pending the VOP hearing or hold you without bail. If you are held without bail it is advisable to contact an attorney to try to set a court date as quickly as possible. There is nothing worse than sitting in jail for days and even weeks waiting for your chance to go to court. After the warrant is served the case will proceed like a normal criminal case, except it will usually be set on a day with other VOP cases. What happens at a violation of probation hearing? At your hearing the agent will likely be summoned to appear, or another agent will come and stand in their place. In many district court cases there will no state’s attorney present, as it will just be the judge, the agent, you and your lawyer. In more serious charges and almost all circuit court cases there will be an assistant state’s attorney assigned. You will be given the option to admit or deny the charges in the violation report. If you are charged with a new offense, which is called a Rule 4 violation, the VOP will be typically be reset until the new offense is resolved. If you admit the violation it is akin to pleading guilty, and you will be sentenced after the violation report is read into the record. 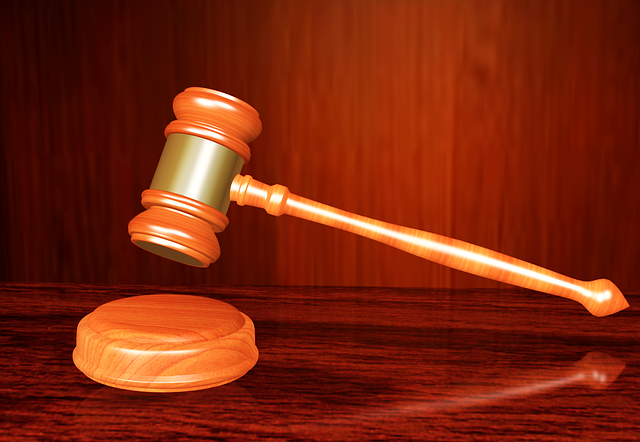 You may call witnesses to testify for you at sentencing and you may speak to the judge as well. If you deny the charges in the VOP report you will have a hearing in front of the judge. The state only has to prove that you violated your probation by a preponderance of the evidence, which means more likely or not. This is a much lower standard than proving a case beyond a reasonable doubt, so it is easier for the state to prove a violation than it is to prove a new criminal or traffic charge. If you choose to go to a hearing you will be allowed to cross examine the state’s witnesses and call witnesses to testify for you. If you win the hearing the violation will be dismissed an you will continue on probation, and if you lose the judge will sentence you right away or at a later date. At sentencing you could be given your back up or suspended time, your supervision could be extended or you could be revoked and lose your probation before judgment, which will result in a permanent conviction. Many judges are flexible and will not give a defendant jail time for a first violation but this depends on many factors. Benjamin Herbst is a probation lawyer that handles cases in all Maryland state and federal courts. Contact Benjamin for a free consultation anytime at 410-207-2598.